Student work samples from: Modoc Middle School, Alturas, CA. Course: Art. Students (grades 6-8) created Pop Art Self Portraits based on the work of Pop Artist Roy Lichtenstein. Students were challenged to (1) only use primary colors (plus black & the white of the paper) to color their selfie and (2) use Benday dots in at least 2 sections. At the middle school level, I like to "flip the classroom." If you'd like to see the accompanying video tutorials, click here. 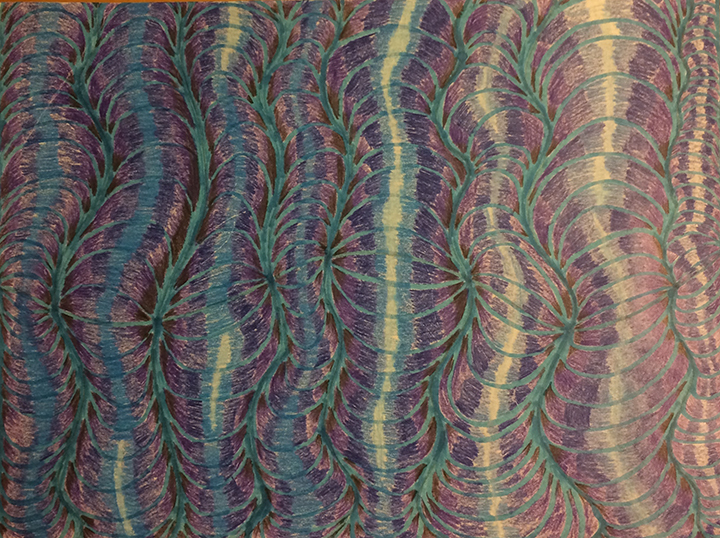 Students (grades 6-8) created original Op Art designs using the elements of art – particularly line and value. 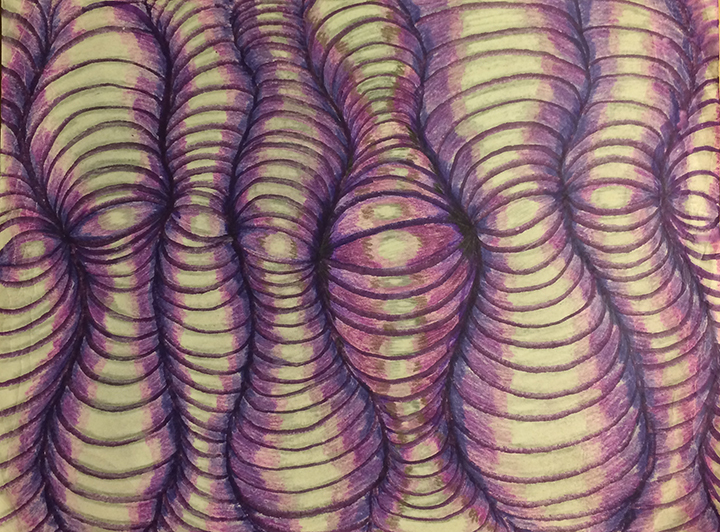 Special focus was put on shading with graphite pencil and blending colored pencil for an ombré effect. Student work samples from: Eximius College Preparatory Academy, New York. Course: Art. 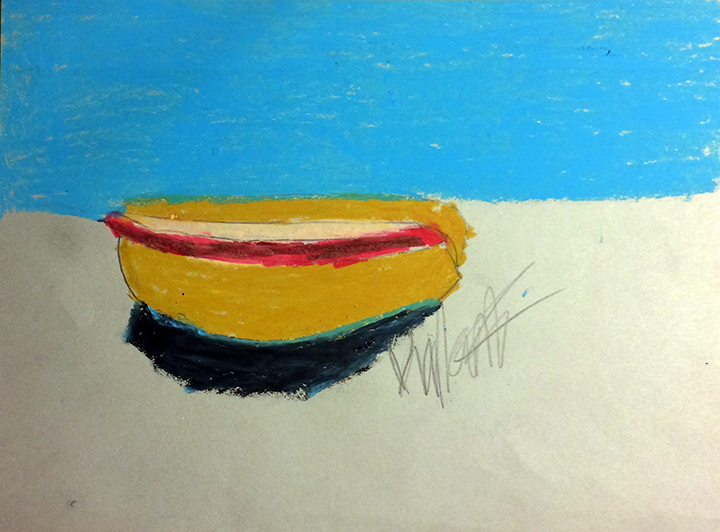 Students (grades 6 & 7) created original oil pastel drawings. Students drew from real life, using the floral still lives in front of them as models. Special focus was placed on accurate contour lines, positive and negative space, and using color and pattern to unify a composition – like the still lives of Matisse. 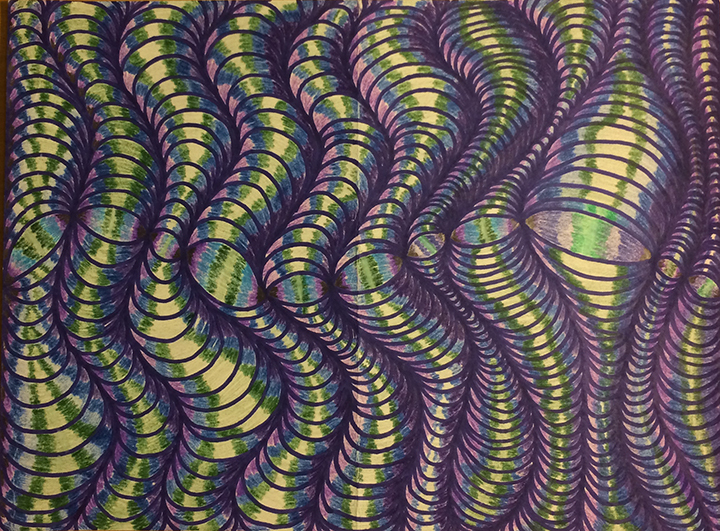 Students (grades 6 & 7) created original tessellation drawings, modeled after the artwork of M.C. Escher. Special focus was placed on creative use of shape, positive and negative space, and using color and line to unify a composition. 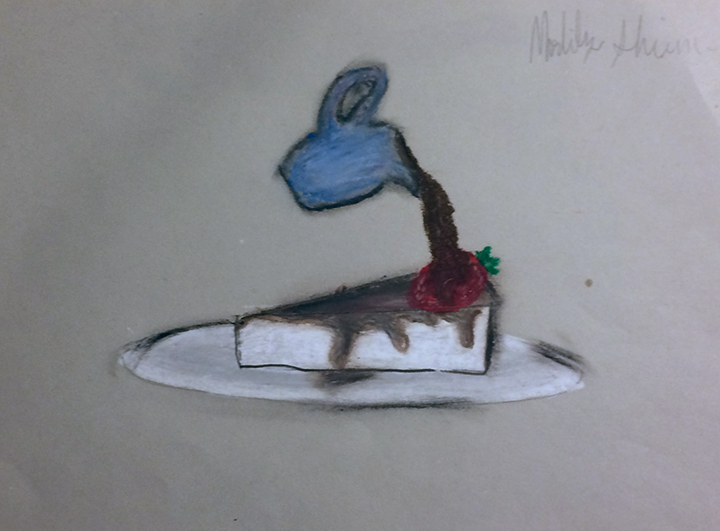 Students (grades 6-8) each created an original series: three drawings of food, inspired by Pop Artist Wayne Thiebaud. 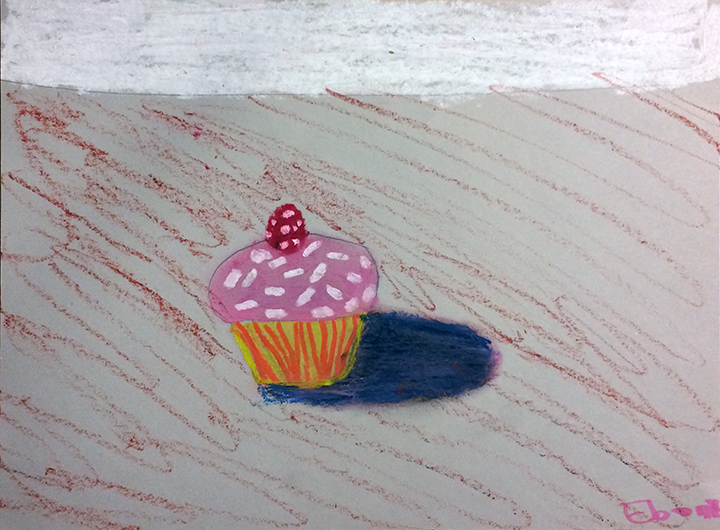 Students used oil pastels and focused on using thick strokes and painterly texture. Students (grades 6 & 7) created original cityscapes using the Renaissance technique, one-point perspective.